It appears as if on this Friday, Google has done an update on their Sitelinks. Google Sitelinks, first thought to be Web Categories, was officially released back in September 2006. Google has their official doc on sitelinks in their Webmaster help section. Over the weekend, it seems like Google updated them and gave some sites that did not have sitelinks, sitelinks. We are not the only ones to get Sitelinks, Shoemoney.com, JenSense, Problogger, Text Link Ads, SEOmoz, and BigmouthMedia all received them. 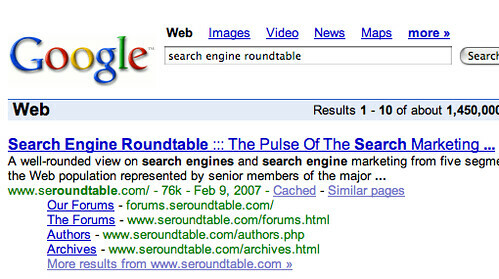 Forum discussion at Search Engine Roundtable Forums & DigitalPoint Forums.